Brian Fallon of the Gaslight Anthem has confirmed that their third album will be called American Slang, and is due to be released on June 15th. "We're calling the record 'American Slang'; that's the best description of us," said Fallon. "It's kind of like this offhanded backstory that no one gets to see. It's not popular stories — we came from regular things, not extremely bad, not extremely good. ... None of us were, like, really, really broke. I never feel like any of us had it worse than anyone else." Fallon says American Slang is "a hyper-literal album. These stories are coming out of my life and the reflections on the things I've gotten as I've gotten older. It's more autobiographical, definitely more direct. Not so shrouded in mystery. I'm not trying to confuse anyone with a trail of images on this one." Peter over at 2uibestow has announced his next Live at Boyle's night in Slane, Co. Meath. As always, it starts at 9 p.m. and is free in. "Urrp!! Just finished mixing new Gorillaz track with er….‘My ARSE’!. Sounds pretty good…Can’t wait to play it," Gorillaz bassist Murdoc posted on his brand new twitter account. The album is called Plastic Beach and is due out in March. Snoop Dogg, Lou Reed, Mos Def, Bobby Womack, and Barry Gibb are all set to guest on the album. More news when I have it! While not my cup of tea, many of you out there like a bit of N-Dubz. Perhaps it's Dappy's marvellous dress sense. Or maybe just the music. Actually, definitely the music. Have you seen what he wears? Anyhow, British urban trio N-Dubz will be playing their first ever Irish headline show at the Olympia Theatre on the 24th of April. Tickets are on sale now and cost €26. Word. When Johnny Cash died, I was sad all day. Gill still makes fun of me for being so down. But it was sad. Johnny is a much missed musician. Great news however, is the fact that Rick Rubin is set to release the sixth and final part of his American Recordings series. The tracklist is extremely interesting, and includes some great covers. There's also some great guests, with the Avett Brothers appearing on the title track. The album comes out on Cash's birthday, February 26th. Cool people: Get your tickets now! BBC Sound of 2010 winner Ellie Goulding will be playing her first proper Dublin gig at the Academy on March 14th. She will be supporting debut album Lights, due out in March. Tickets are priced €17.45, and go on sale this Saturday, (16th January) at 9 a.m. It's bound to sell out quick, so get queuing! It is with great sadness that I post news about the death of modern-day punk (or garage rock) legend Jay Reatard. Jay made my Best Albums of 2008 list and no doubt had potential for a lot more brilliant albums and songs. Jay was born Jimmy Lee Lindsey Jr and was born on May 1st, 1980. He died yesterday, January 13th at his home in Mephis. Reatard has an extensive discography, but of the more recent records, I'd recommend Matador Singles '08. Other career highlights are the self-titled album from Bad Times, his solo debut Blood Visions, as well as the Reatards' Live LP. I'm not sure whether I should be calling this the Choice Music Prize 2010 or 2009, so I've hedged my bets and gone for both! PaddyPower.com has posted the odds for the award, so get your bets in now! My money is on Codes or Adrian Crowley by the way. Gemma Hayes is back with a new tour, which she announced on her twitter feed here. The full list of dates is below, and you can get ticket info for each show on Gemma's official website. The award for Best Album of 2009 will be given on the night of March 3, 2010 in Vicar Street. And Jim Carroll from On the Record runs it all. For my 1000th post I listed the best Irish albums of all time, and as a special celebration for my 1500th, I'm now going to list my favourite Irish Music Blogs. And on what better day to celebrate it than the day teh nominations open for the 2010 Irish Blog Awards. Run by the lovely Peter Nagle, this is one of Ireland's most underrated Music Blogs. He knows everything about Irish bands and solo artists, and posts solely about the national scene. There are daily features and heaps of excellent free and legal mp3s from countless homegrown acts. Alan Whelan's self-titled Dublin music blog focuses heavily on the gigs he has attended. He takes stunning photos at the concerts he attends - which I must say is a hell of a lot of gigs. He must earn a lot in his real job, because all those tickets must cost a bomb. Not updated as often as some of the other blogs here, that is never a problem. When it is updated, it's with lengthy, insightful posts. It also has a lot of personal stuff, but that's by no means a bad thing either. A great music collective of album reviews, live reviews, interviews as well as longer features, drop-d is a site that deserves to be up there with Hot Press and State as essential large-scale Irish music websites. 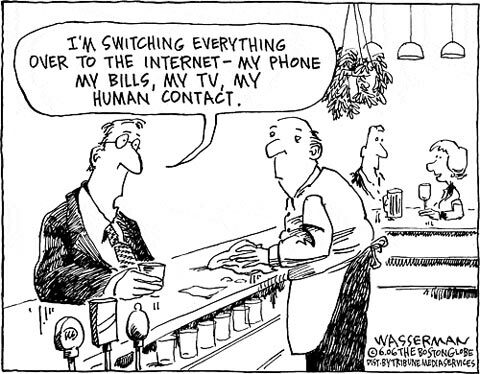 With less filth than Egotastic, egoeccentric posts marvellous videos, short reviews, and is best read in short bursts (like how the posts are written themselves). A music blog for those with short attention spans, it's a worthwhile read every day. One can only guess what goes on behind the scenes of Heineken Music, but I'd say it's a marvellous place to work. Their team includes Allison Curtis, Jim Carroll, and Dan Hegarty and write on a large number of topics. But the most important thing - the excellent gigs they hold around the country. The print magazine will always get the best content, but the website itself is also a fairly good source of live news. Best of all, however, is the excellent competitions they run. A site focusing on the best live shows Limerick has to offer (as well as others in Galway and other venues), this blog posts fantastic live reviews as well as some wonderful bootlegs. Anyone who loves Ryan Adams is good by me. Recently redesigned and now much more easy to navigate, Kilkenny Music does exactly what it says on the tin. It promotes local acts as well as highlighting shows in the Marble City. A surprisingly good number of great acts actually play in Kilkenny each year, so if you live anywhere nearby, this blog is worth checking out. Mp3 Hugger posts a lot of great Indie mp3s from around the world. And that's it really. But isn't that enough? It sure is. Expect to find some great new artists alongside new songs from legendary bands. On and what's more, their label IndieCater Records releases some fantastic albums and EP for a minimal fee. Imagine if BBC's Through the Keyhole or RTE's Showhouse was about bands... Well, this is exactly that. Musical Rooms shows you where the magic happens and describes how artists go about making masterpieces. It's a marvellously insightful blog and a great diversion from mp3s and news. Ireland's Best Music Blogger three years running, as well as last year's Best Music Website winner at the Irish Web Awards. Does any more need to be said? Oh, alright... He posts news, tracks, as well as mp3s. His podcasts are excellent, but the best feature in my opinion is the monthly MAP mixtape. Wonderful stuff. A wonderful idea for a blog, where the writer plays an album for his father (the Nick of the title), and lets you know how he gets on. This leads to some highly entertaining reviews. Genius. Poked and prodded by Jim Carroll of the Irish Times, On the Record gets more responses and comments than any other Irish music blog. This is helped by the high-profile nature of it, but moreso by Jim's fantastic writing and his wonderful musical knowledge. He's also the first to know of big gigs, so it's a mustread. The second, more loved child of Nay from Hot Press's Off Her Rocker blog, is filled with fantastic insights and lengthy pieces on all things Irish. She also highlights upcoming acts from Ireland and abroad. She may actually be a much better writer free from the constraints of having a magazine behind her. Public support saved both Road Records, but unfortunately was not enough to save State Magazine. No longer in print form, it has continued fantastically online, with great features from a large number of writers, it's also a place where Nialler9 can lay off the cool and enjoy more mainstream music with the rest of us. Now an RTE 2XM DJ, Sweet Oblivion has a fantastic taste in music, and posts regular playlists showing such. She also writes long articles on the industry, such as her excellent response to OtR's Irish Album Review "outrage" and the demise of Cork independent music shop Plug'd. Tim posts a lot about stuff I haven't heard of before. After listening though, I am usually converted. So after heading over there, you'll no doubt be a convert too. And make sure you watch out for his fantastic competitions. You may get a free gig out of it! Looking for live news? Here is one place to go, Thrill Pier regularly posts news of live shows, as well as videos from artists you really should get to know better. As well as that, Ian is an all-round nice guy. As well as being a great place to discuss music , Thumped is a fine repository of album and live news. There's also some great reviews here and there too. But the forum is what keeps us all coming back. No doubt I forgot a good few. If I did, let me know, and I'll add it to this list. The Black Belles are the latest addition to the Jack White stable Third Man Records. There's very little information about them anywhere, but they've released a clip from their upcoming EP/LP? (We're not qite sure yet) It's called 'What Can I Do?' and can be streamed in the right sidebar on the label's news page. The eagerly awaited follow-up to Joanna Newsom's Ys has been announced with a pretty little comic. Have One On Me will come out the 23rd of February in the US, and the 19th here. It's only a few weeks away. I'll put up an album cover and tracklist as soon as they're available. Local lads the Coronas have already sold out three dates at the Academy, and so have upgraded venue for their newest date. They'll be playing Dublin's Olympia Theatre on December 10th, 2010. It may seem a while away yet, but could well sell out, so buy your tickets now, and schedule your Christmas party some other night. Tickets cost €27 and are on sale now. 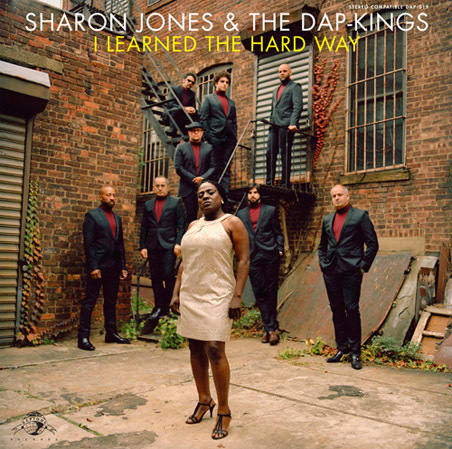 Sharon Jones and the Dap Kings are back with a new album. I Learned the Hard Way on May 5th. This will be their fourth album, and if it's half as good as their earlier work, it's going to be a contender for album of the year. Great news Gabriel fans, Peter has launched the first podcast for his new album Scratch My Back, which features introductions as well as clips from all the songs on the album. You can stream it on his website, or download the mp3 file (Right Click "Save Target As..."). 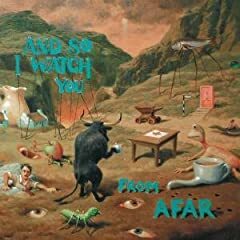 If Salvador Dali was still alive today, he may paint an album cover like that of ASIWYFA's debut album. Better still, if he was a musician, he'd probably make bizarrely brilliant instrumental tunes like the eleven shoegaze classics that appear on this debut album. Lauren Murphy called David Turpin's second album a disappointment, like his first. She outlined his vocals as the problem. In this opinion, she is massively wrong. Turpin has a gorgeous soft voice which perfectly matches his blissful lyrics. It's not grating in any way - no more so than Joanna Newsom - perhaps Turpin is the Irish Newsom? Divisive, but brilliant. Well, in this writer's opinion anyway. Patrick Kelleher plays a lot of instruments. Strangely enough, one of the many on here he claims to play is a door. The album itself is a mult-layered electronic triumph, which is sure to please fans of Animal Collective, Panda Bear and the like. A gorgeous debut filled with enchanting songs that take you back to a better time, Pearse McLoughlin has crafted out a first album that's up there with any other singer-songwriter you care to name. Yes, even that Rice fella. Another fantastic debut, this one is like an earworm that digs into your brain and just won't let go. 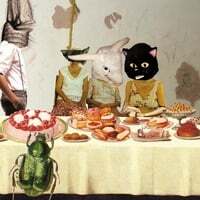 The album is a wonderful slice of indie pop released on Catchy Go Go. I don't know about the go go, but this sure is catchy. Named after an extremely complicated way of determining scores in rain-affected cricket matches, this is the best concept album to come out of Ireland...ever. Pugwash's Thomas Walsh and the Divine Comedy's Neil Hannon have teamed up to make the sweetest (spot) album of 2009. An album two years in the making, Trees Dream in Algebra, is the most-polished Irish debut in years. They worked with excellent rock producer Greg Halford on it, and marked themselves out as one to watch for the future. The U2 of the 2010s maybe? Good albums don't always have to be a well-structured coherent whole. Sometimes they can just be wonderful collections of singles. That's what the self-titled debut from the 202s is. Like a greatest hits package, it's full of powerful tunes with outstanding choruses. Although as a coherent whole, it's damn good too. I like alt.country and rock mostly. So it takes a great album from genres such as electronica to get me to listen to it more than a handful of times. However, this debut from fellow Carlovians stuck with me all year. Songs like 'Elegy' and 'Stagger Gently Home' are immediately gorgeous, with the latter being one of my songs of the year. Fabulously addictive. The break-up of Juniper has given us so much. Damien Rice and Bell x1 are both extremely successful on both sides of the Atlantic. However, Bell x1 guitarist David Geraghty could well end up being the best of all. His debut was a fantastic introduction, but his second, The Victory Dance was so much better. Filled with gorgeous guitarwork, it's a cracking collection of songs. And who knew he was such a great vocalist too? Wonderful. The best Irish album of 2009. Dubliners Aslan are set to play the Olympia Theatre on St. Patrick's Eve, the 16th of March 2010. Tickets cost €25 and go on sale this Friday at 9. After last year's succesful Irish Sound of 2009 post between myself and Peter over at 2UIBestow, we have teamed up again to highlight ten acts worth looking out for in 2010. We've picked five acts each, all of which could end up dominating the Irish music scene in the next twelve months. Belfast based A Plastic Rose consists of equal parts Sligo and Belfast and make the type of Indie Rock music Tim Wheeler dreams about. The vocals are shared by the contrasting styles of Ian and Gerry which results in harmonies not normally associated with the alternative rock genre. So far in their career they have released Eps and Singles with the full LP hopefully out this side of Christmas 2010. Seeing A Plastic Rose live is a must for the new year. Hailing from Limerick The Brad Pitt Light Orchestra make some wonderful indie folk music which is receiving radio play across the country. They've release two EPs, played Electric Picnic and HWCHs as well as picking up celebrity fans like Paul McCloon and Cormac Battle along the way! 2010 could be the year of The BPLO with the likely release of their debut on the horizon. Born in South Africa, but resident here since the age of seven, the Dubliner has an amazing voice as well as a wild backstory including a stint in the circus. But it's the music that really does the talking - it's a deep down dirty whiskey swagger that pulls no punches. Is it better to release a number of mediocre albums or wait until the time is right to make and release an amazing debut album? Fiach has been around forever but in February he will finally release that debut album that he has spent years preparing. Fiach is a veteran of many a sessions night clocking up an impressive apprenticeship of live performances. The recent Whelans gigs proved he is equally impressive fronting a band and owning his audience. I think 2010 will find us falling for the singer-songwriter again with Fiach's uplifting songwriting being at the forefront of the movement. February 25th finds Fiach in The Button Factory for the album launch! Henrietta Game only formed last January and already they've released a single, selected as Tony Fenton's daily download, performed with the legendary Peter Green and got a high profile slot at The Electric Picnic. Henrietta Game are guitar, cello, violin, glockenspiel and four part harmonies which send shivers down the spine. Henrietta Game is one of the most original bands out there which will appeal to indie kids and folk lovers alike. Many of you may remember Ollie Cole as the frontman in the sadly-missed Turn. Well, he's back under the guise Oliver Cole and has signed to EMI. He released the excellent What Will You Do EP last year, and looks set to release full-length debut album We Albatri sometime in 2010. Padraig was the lead singer with Wallmark and later with Whiskey Tango Foxtrot. In 2005 Wallmark released a great album but Wallmark didn't last much longer after the release. Since then Padraig has been writing a whole bunch of great tunes that will become his debut album this year with Karl Odlum's input. Padraig writes honest emotional songs full of life and character. With luck 2010 will be Padraig's year! Clane produces a lot of good music. Planet Parade are the latest act to join Bell x1 and Damien Rice as exports of Kildare's Detroit Rock City. They're a fantastic indie-pop band who have been honing their craft in a live setting - particularly at autumn's Hard Working Class Heroes Festival in Dublin. Check out their EP Ghosts to People, and if you're around, head over to Whelan's on Friday, January 15th to catch them live. With a debut album imminent, Bangor, Co. Down's Two Door Cinema Club could be the biggest Irish act of 2010. They've been hyped by the BBC and Spinner, and will be releasing their first album, Tourist History, on March 1st. They played the Introducing Tent at Glastonbury last year, but expect them to feature higher up the bill at Festivals in 2010, as well as joining the NME Shockwaves Tour throughout the UK and Ireland. Ireland's other singing drummer duo Oppenheimer split up over Christmas, but instead of the Nordies' electronic feel, We Cut Corners are a beautiful folk-pop group with songs that sound so much bigger than the sum of their parts. They also joined the lineup at Hard Working Class Heroes in 2009 and featured on RTÉ 2's When Under Ether. Expect to hear much more from them in 2010. If you would like to contact Swear I'm Not Paul, either to submit something for consideration, or the request the removal or alteration of something, you can do so in one of three ways. Leave a comment on one of the existing posts. Please note that we receive hundreds of emails each week and may not be able to cover every topic.